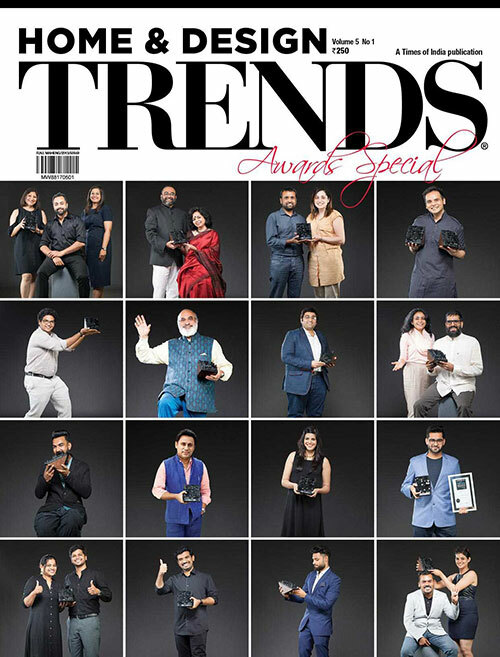 In its sixth year, TRENDS EXCELLENCE AWARDS FOR ARCHITECTURE & DESIGN has become India's most sought after design awards. 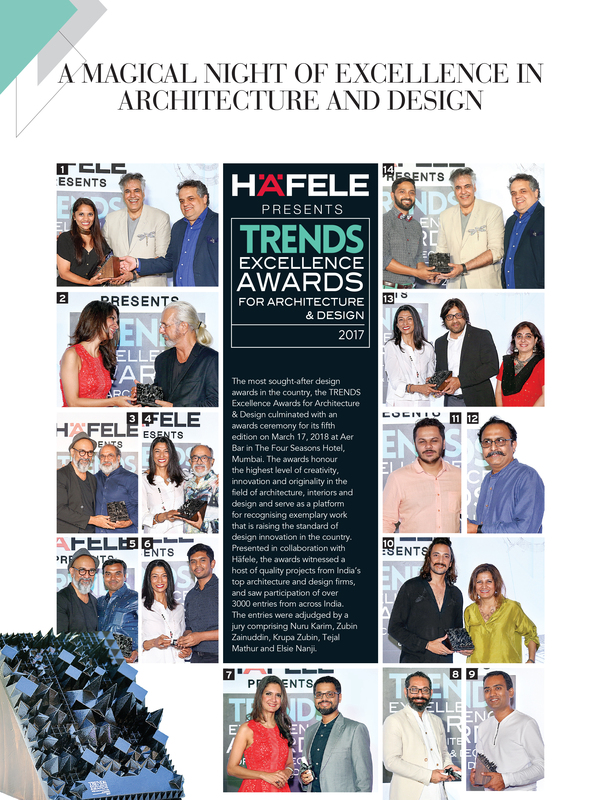 Presented by Home & Design TRENDS magazine, the awards aim to accolade utmost level of creativity, innovation, originality and inspiring practices in the field of Indian architecture, interiors and design. 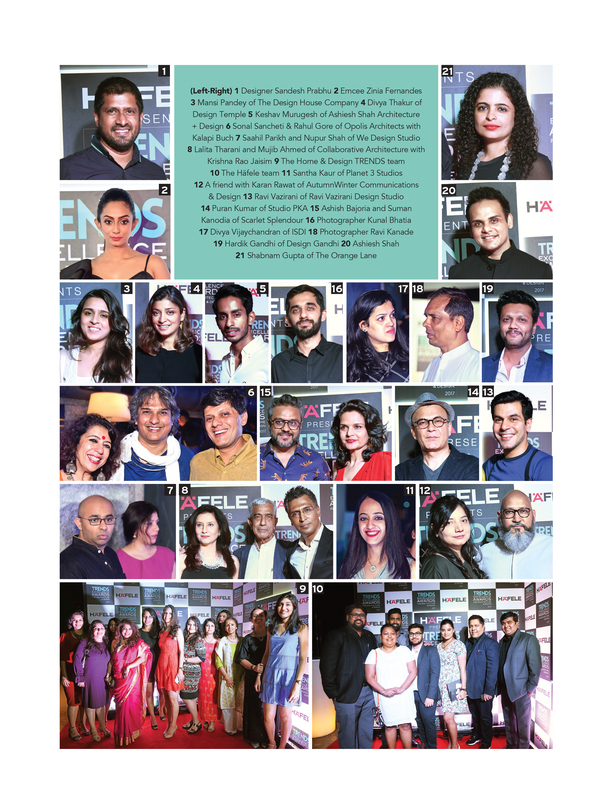 Our judges define the TRENDS Awards each year – and each year we bring forth a stellar group; extraordinary individuals who have shaped or are shaping the Indian architecture and design milieu. If it is just not just plain, simple, unequivocal excellence of design practice, then it will be out-of-the-box, new thinking that a TRENDS judge will look for in the entries. Hope you are ready. This website is designed to help you submit an eligible entry. Entries that do not comply with all the entry requirements will be declared ineligible for judging. Entering and participating in the awards is simple. All entries have to be submitted ONLINE only. Please read all the rules & regulations carefully. Your entry stands valid only when it meets all the eligibility rules & regulations. Non-compliance of any of these will lead to cancellation of the entry. A firm can submit upto 2 entries per subcategory. The work can be located anywhere worldwide. However, the firm must be based in India. An architect/interior designer should be a principal/owner of the practice and should posses a formal license of the copyright in the work being entered. A one-time registration is compulsory to participate. To make a valid TRENDS Awards entry, all of the below have to be submitted. We would like to stress on the importance of the right selection of project images. Only actual photographs should be submitted. Computer generated/modified photographs will not be accepted (they will be accepted only for Best concept for an unbuilt project category). Do not club multiple images and upload as a single JPEG. Under this category, a firm needs to submit 3 of it projects. 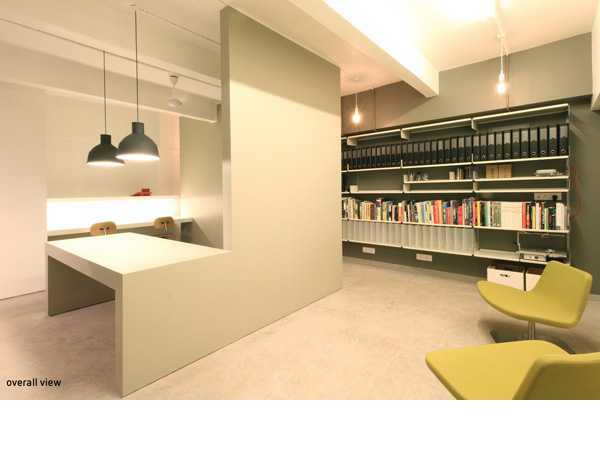 The projects should ideally be able to show a diverse range of work of a firm. 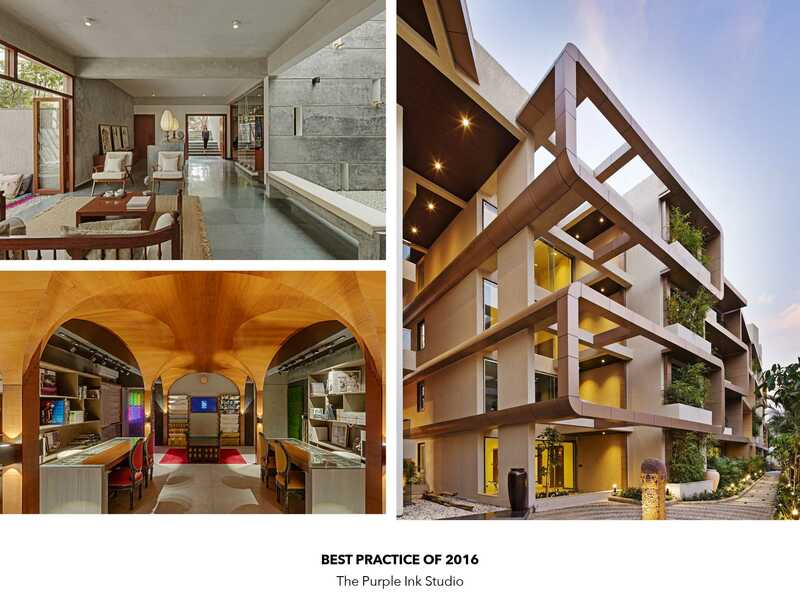 Architect Hemant Purohit set up his own practice in 2009 in partnership with Smita Khanna, offering context and concept-based design solutions. His experience covers everything from infrastructure like mass rapid transport systems to luxury residences, and master planning to retail interiors. 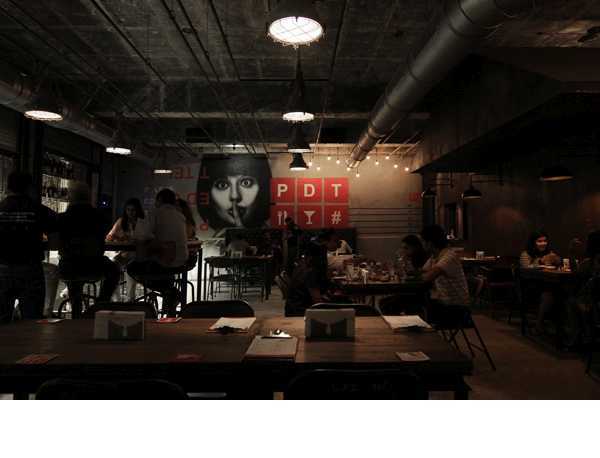 His design firm, Note-D is an acronym for Nature of the Experiment - Design, which has become the foundation of every project they undertake. 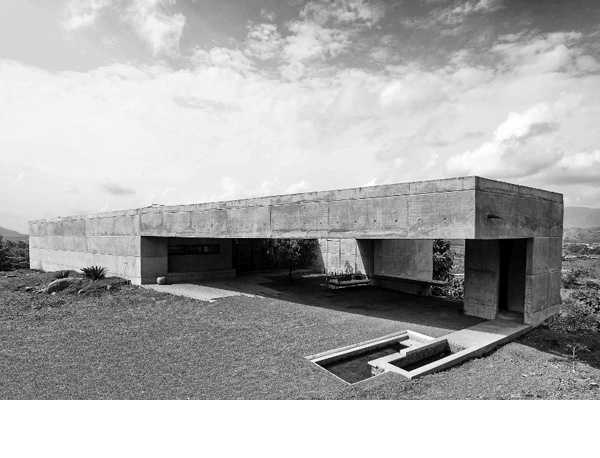 Hemant holds a masters degree in urban design from IAAC, Barcelona, has worked with Serie Architects and Guallart Architects, and is a faculty member at the Balwant Sheth School of Architecture. An architect, artist and urban curator practicing in Mumbai, Rajeev Thakker comes with degrees from Syracuse University and Columbia Universities GSAPP and work experience with firms such as S.O.M. and the Arnell Group in NYC. 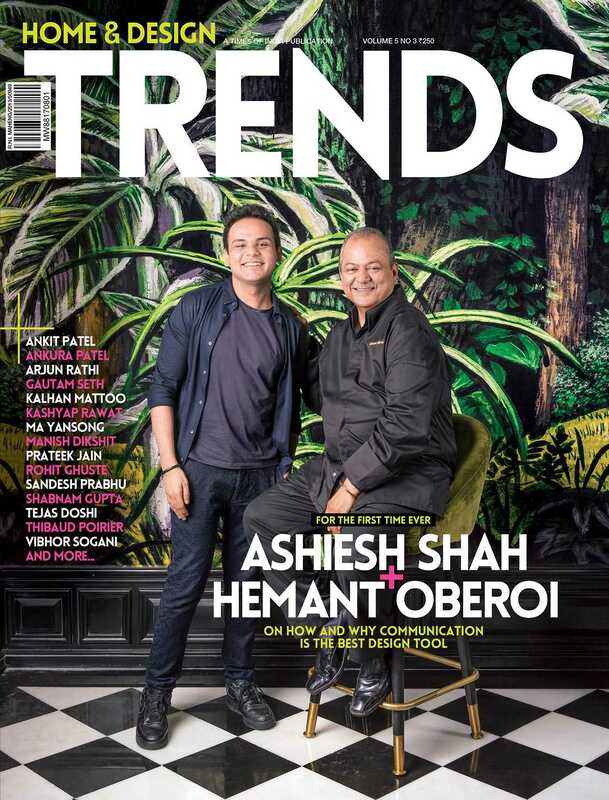 In 2003, he set up his own firm, a-RT, engaged in hospitality, retail, commercial, residential and art projects, besides acting as guest lecturer and teacher at prominent institutes like KRVIA, NMIMS, Raffles Institute, Parsons School of Design, the A.B.A.C. 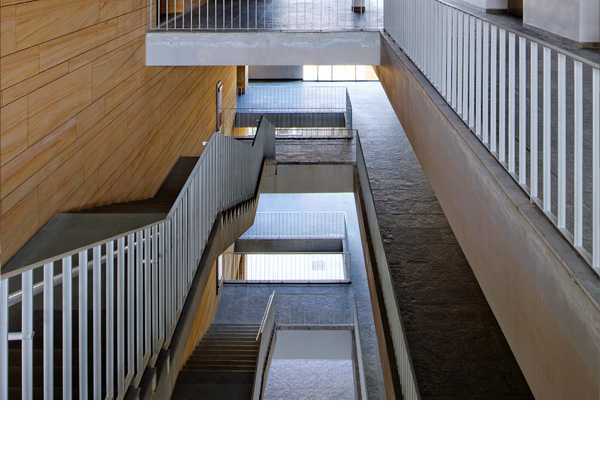 School of Architecture, and Columbia Universities GSAPP. 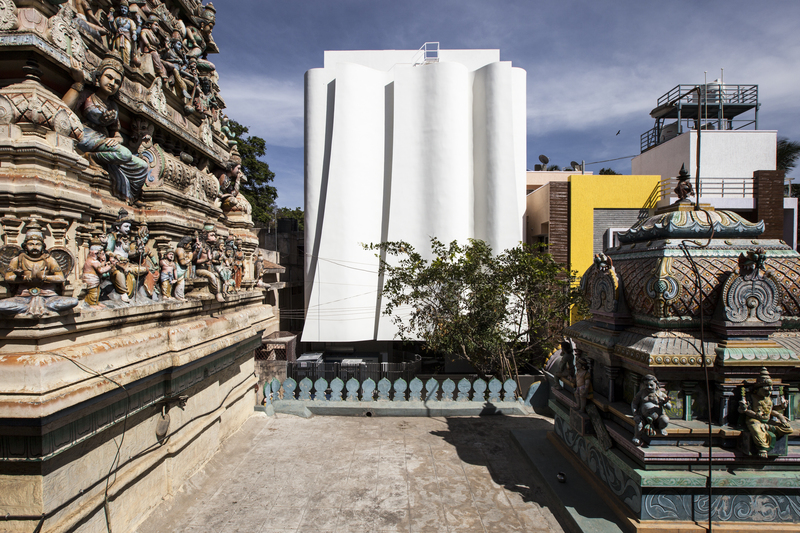 More recently, Rajeev curated Columbia University GSAPP’s Studio X Mumbai project focused on exploring the future of cities, and has put up installations at the Kochi-Muziris Biennale 2016-17 as well. One of the founding partners of Mumbai-based architecture and design firm Red Architects, Rajiv Parekh brings with him 15+ years of rich experience in designing diverse projects. 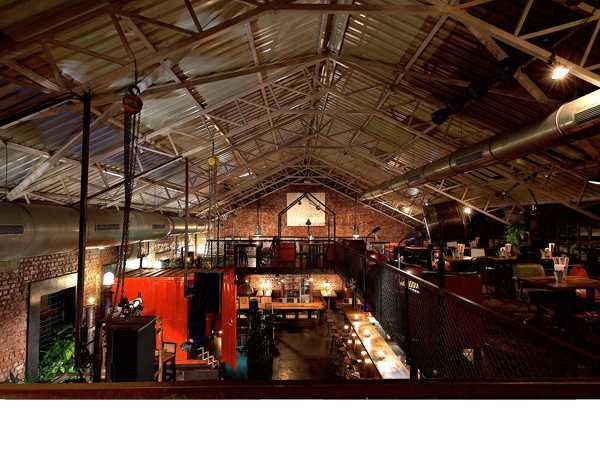 He has worked on everything from minimal residential spaces to heritage restoration projects and has consequently developed a strong level of expertise in all aspects of design. Armed with a Masters in Architecture from Pratt Institute, NY, Rajiv is a registered member of the Council of Architecture & Indian Institute of Interior Designers. One half of architecture and design firm SHROFFLEoN, Kayzad Shroff is recognised for having a strong personal and professional background in architecture, stamped by a degree from Cornell University in 2008. Two years later, he co-founded his own firm with Maria Leon, putting into practice his own design sensibilities, moulded by an early stint in the office of Robert Stern in New York. Currently, he also serves as design studio instructor at ISDI/Parsons Mumbai, Cornell University and Balwant Sheth School of Architecture. Born in Spain, educated in New York, and now practicing in Mumbai, Maria Leon set up SHROFFLEoN with partner Kayzad Shroff in 2010. Her diverse professional experience includes stints at the studio of Javier Terrados in Seville and at Kudniki Bernstein in NYC following her master's degree at Cornell. In the past, she has also held teaching positions at Kamla Raheja Vidhinidhi School of Architecture and Environmental Planning, the Balwant Sheth School of Architecture, NMIMS, and Cornell University. 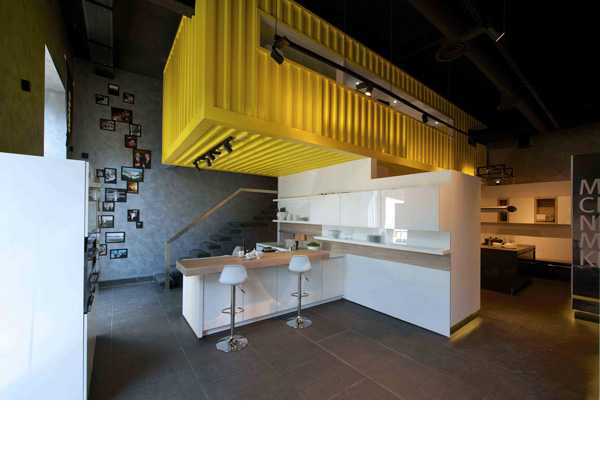 Architect Smita Khanna experiments heavily with materials, furniture and installations as part of her residential, commercial and interior projects, creating unique results every time. Along with partner Hemant Purohit, she set up Note-D in 2009, amassing a combined experience of about 20 years. A graduate of the the Architectural Association, London, Smita has worked with Serie Architects and Arup Associates, designing and planning for master-plan projects, public buildings and cricket World Cup stadiums. 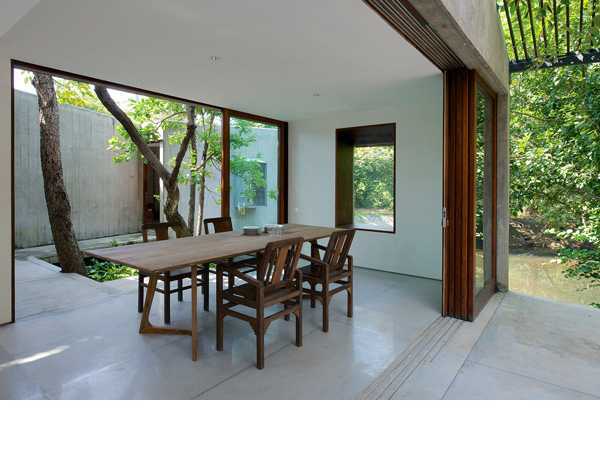 With a keen interest in Japanese architecture, Sancheti heads OPOLIS Architects along with Rahul Gore. 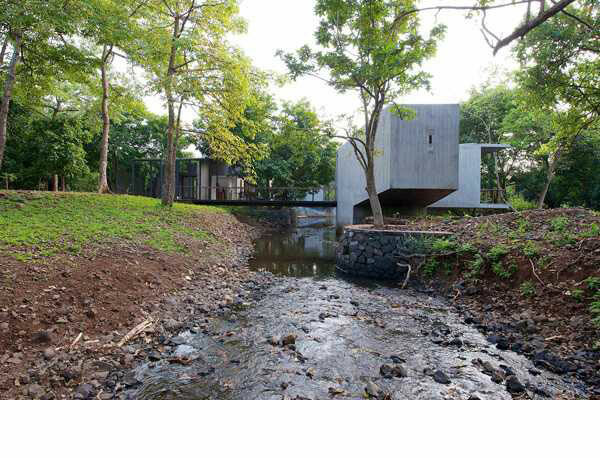 A visiting design professor at Kamla Raheja Vidyanidhi Institute of Architecture in Mumbai, she has studied architecture at the Centre of Environmental Planning and Technology in Ahmedabad and the California Institute of Architecture, Los Angeles. 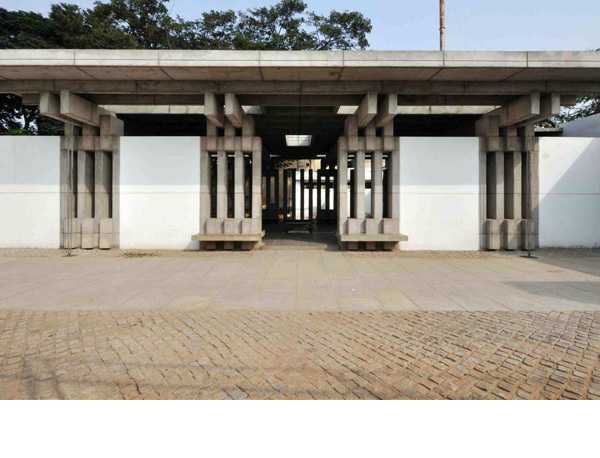 Sancheti and her team are currently working on the Bihar Museum along with Maki and Associates, Tokyo and on the the extension of Mumbai's Bhau Daji Lad Museum along with Steven Holl Architects, New York. Over a decade ago, Nuru Karim was working with Zaha Hadid Architects on a host of large-scale commercial projects. Today, he is an award-winning architect, lecturer, jurist and critic himself. 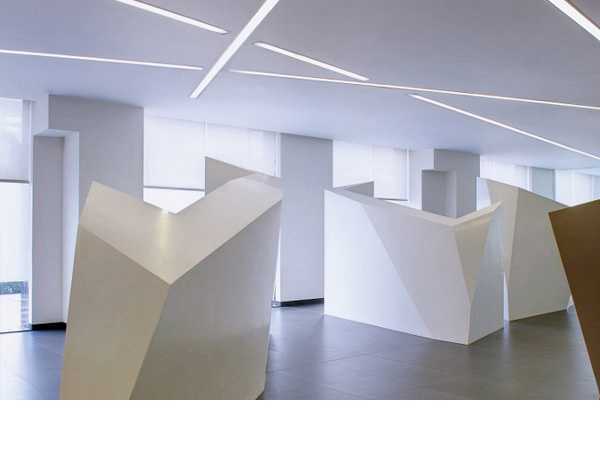 Karim believes that architecture is experimental, and the work of his firm, NU.DE Architecture reflects this philosophy. The Charkha installation in Mumbai’s Cross Maidan (which was nominated for the Aga Khan Award for Architecture), Hinduja Boutique Hospital and Gallery BMB are just some of his acclaimed works. 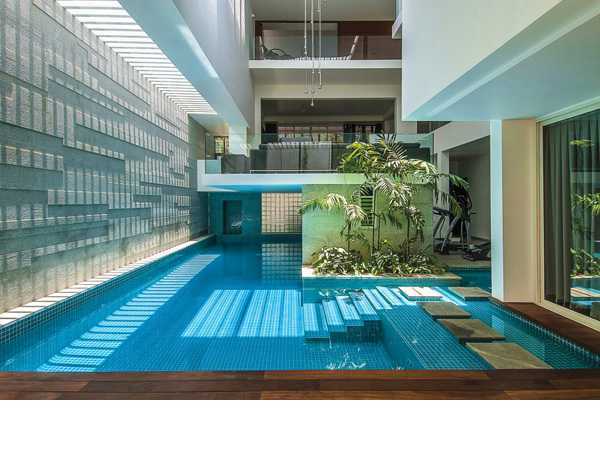 One half of award-winning architecture and design firm ZZ Architects, Krupa Zubin's aesthetic is defined by a blend of minimalism, material play and efficient use of technology. She forayed into architecture academically at the Pillai College of Architecture, and gained work experience with Sanjay Puri before setting up ZZ Architects with Zubin Zainuddin. 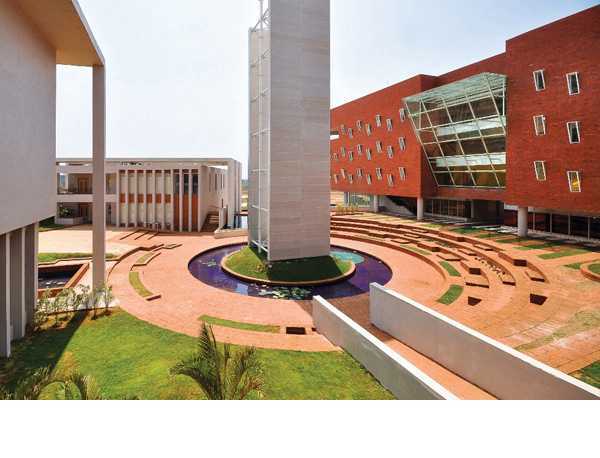 She has been touted as one of India's best women architects, and has worked on projects like the Colours IT Park in Navi Mumbai and Nahar International School in Mumbai, besides numerous residential and commercial spaces. 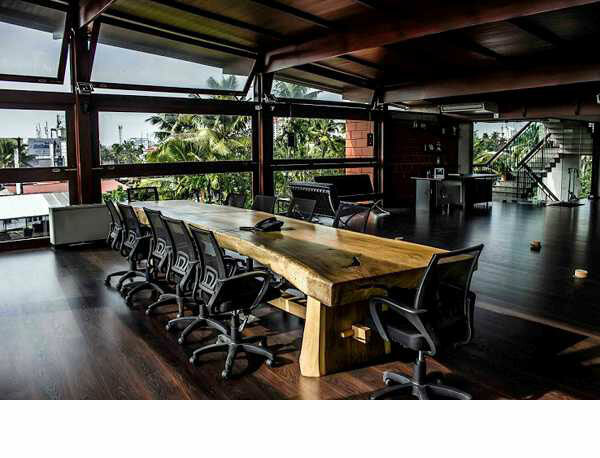 Before setting up ZZ Architects with Krupa Zubin, Zubin Zainuddin worked with Hafeez Contractor, Saboo Francis and Alfaz Miller on projects across the country. 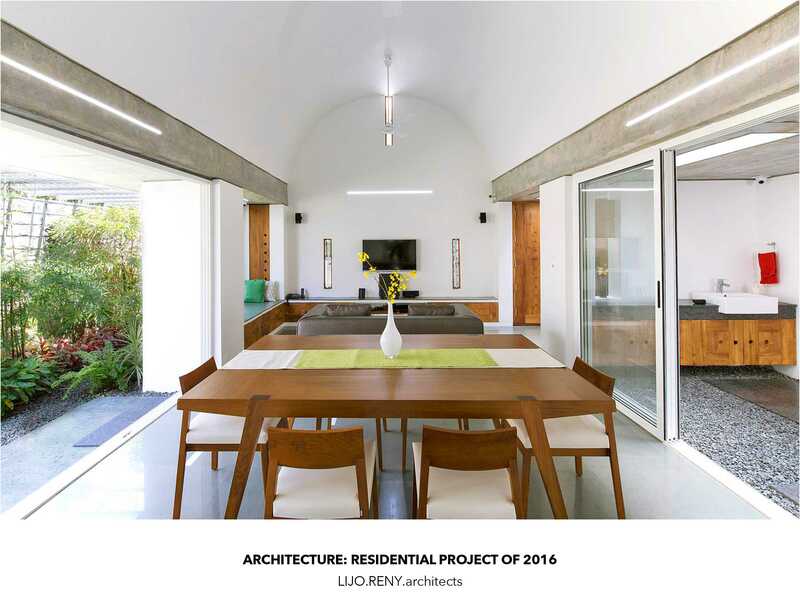 A graduate of Bharati Vidyapeeth College of Architecture, Mumbai, Zubin has been responsible for notable projects covering commercial and high end residential interiors to large scale architectural projects. His drive to constantly reinvent his work has resulted in award-winning projects recognised for their intricate attention to detail. 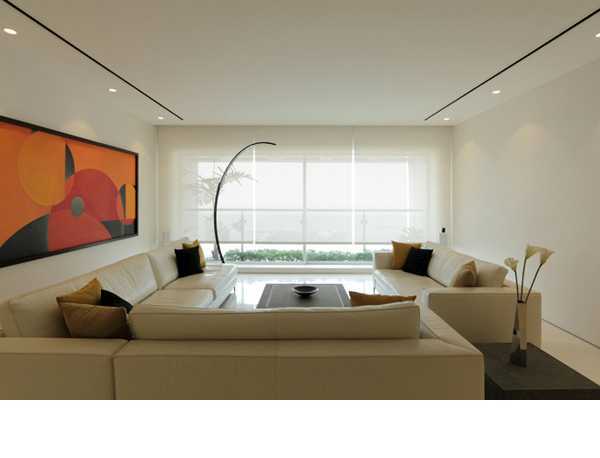 Tejal Mathur established her interior design practice, Tejal Mathur Design, in 1998. 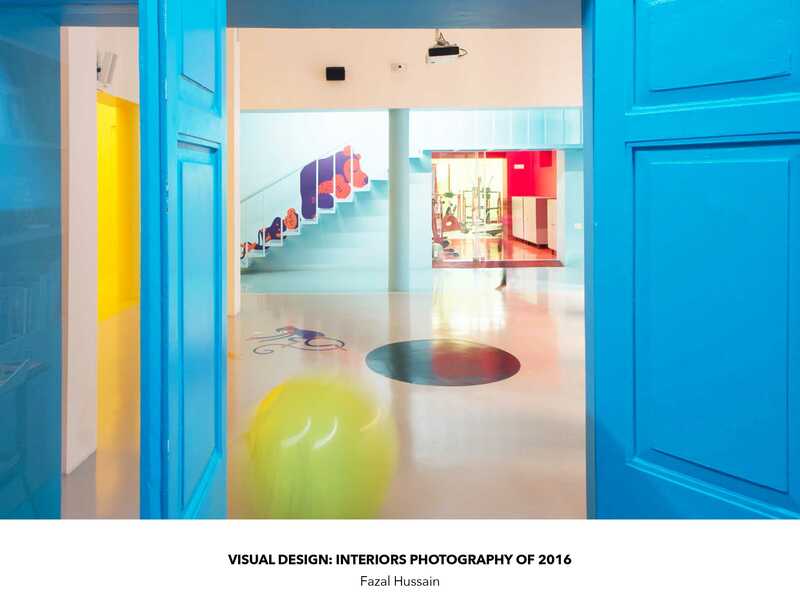 Her project profile outlines work in the field of interior design and architecture, which mainly covers the domains of residential, retail and commercial spaces. Her recent works have earned her tags like 'post-modern' vintage designer to 'purveyor of the past'. 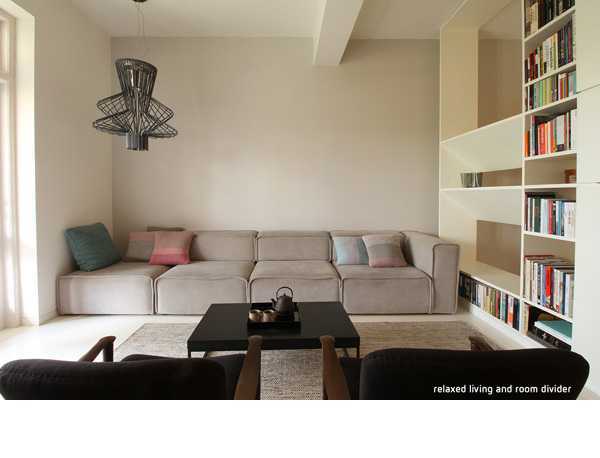 Approaching her projects like stories of the user, Mathur uses handcrafted textures and elements that engage the inhabitant and also help in the seamless creation of classic, yet contemporary designs. 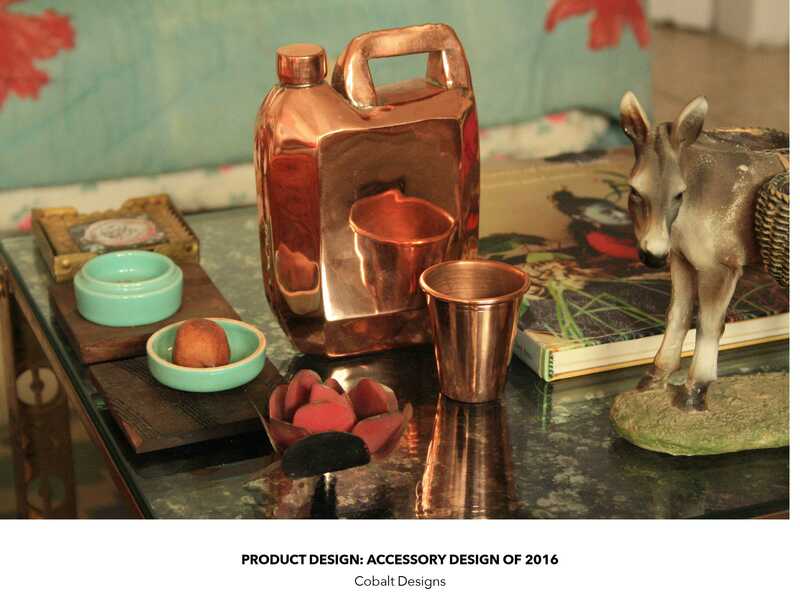 In 2012, she founded Ironworks, an esoteric line of furniture, accessories and linen. After an illustrious career in advertising following foundation courses at JJ School of Architecture and Sophia Polytechnic, Elsie Nanji forayed into designing purely as a hobby. Her shift from advertising to the world of design, with graphics, environmental branding and interiors created a progression from iconic campaigns to iconic spaces like Olive restaurant in Mumbai, the restoration and the office of the Mahindra and Mahindra building at Gateway of India and the Aer bar at Four Seasons Hotel, Mumbai. She has collaborated with architects like Nozer Wadia, Annalisa Belletati, and Ratan Batliboi for architecture and interior design projects. Abha Narain Lambah is amongst India’s foremost conservation architects. With over two decades of practice, she has been involved in high-profile heritage conservation projects across the country. Her work has won her eight UNESCO Asia Pacific Awards for Heritage Conservation, the Eisenhower Fellowship as well as a consultant’s position with World Monuments Fund, Global Heritage Fund and Archaeological Survey of India. Apart from working on buildings spanning 15th Century temples to British era buildings, she has also served as an advisor to prominent museums in Mumbai, Kolkata, Hyderabad, Indore and Gwalior. Lambah has also edited several books devoted to India’s grand architectural traditions. 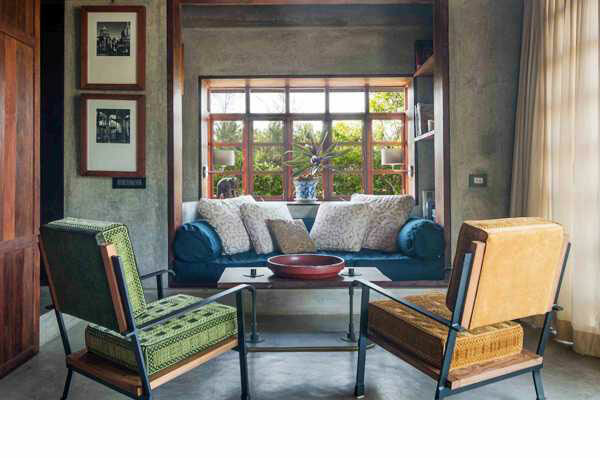 Fifteen years ago, Martand Khosla set up his practice, Romi Khosla Design Studio in New Delhi. 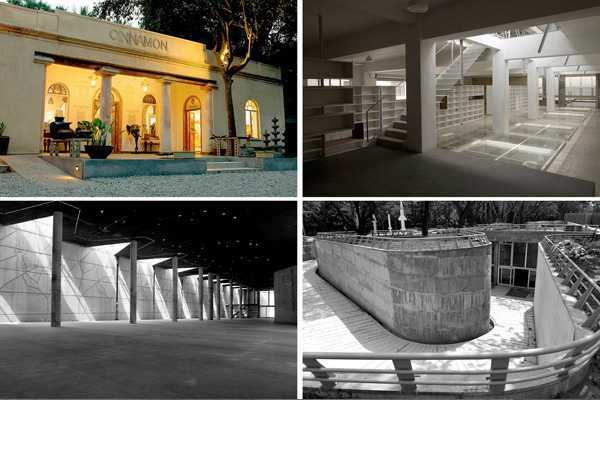 Khosla’s practice grew into an award-winning enterprise, with several iconic landmarks and projects under its belt, such as the Cultural Complex for Jamia University, the Volvo and Royal Enfield Headquarters for India, and their current project, the Indian Embassy in Uzbekistan. 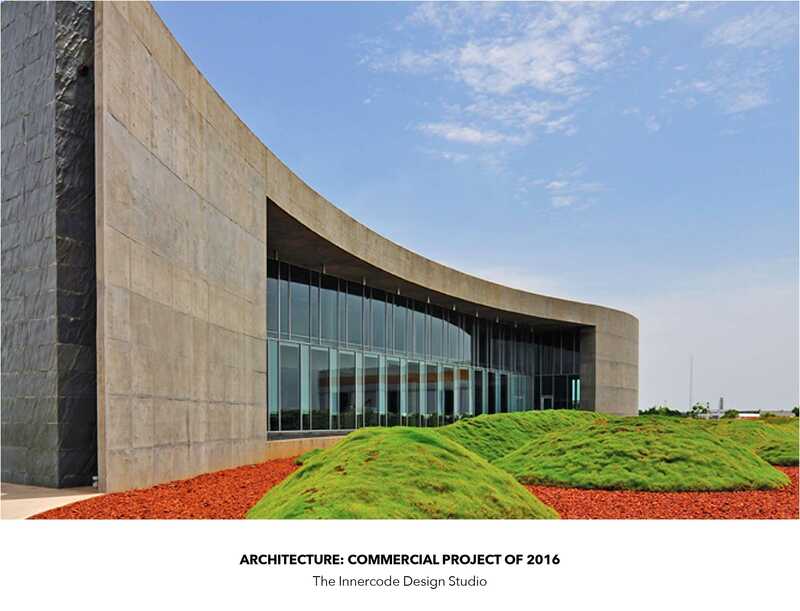 Receiving widespread coverage both in India and abroad, Khosla’s firm has also won several international awards, including the World Architecture Community Award. 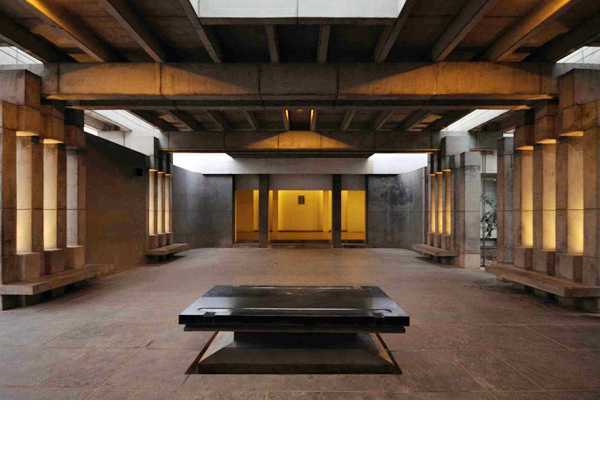 Khosla is also an artist, whose practice concerns itself with urbanisation in India. Reza Kabul is a veteran Indian architect, who set up his own firm ARK Reza Kabul Architects in 1988. 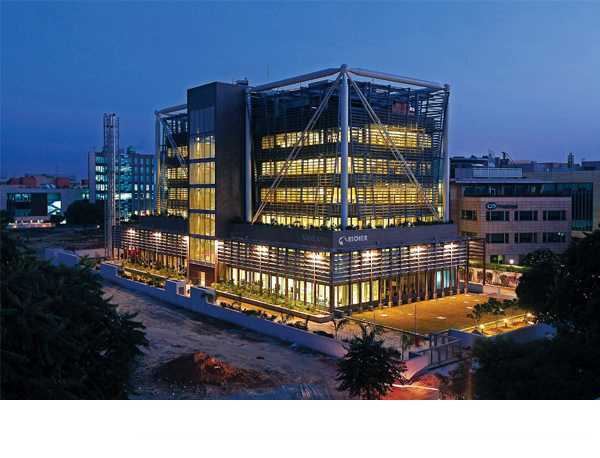 Since then, the firm has grown and expanded its offices from Mumbai to Pune and even San Francisco. 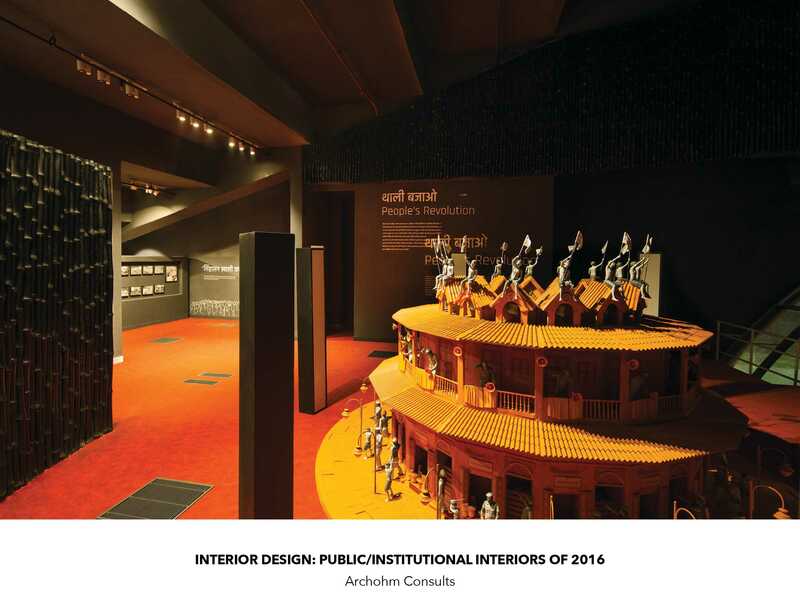 As a prominent architect, Kabul’s career has progressed alongside India’s own advancement. His signature projects dot the globe, in countries like United States, India, Mauritius, United Arab Emirates, Sri Lanka, Sudan, Bhutan, and Kenya. Besides the firm’s impressive portfolio, it has also won multiple reputed Indian and international awards. 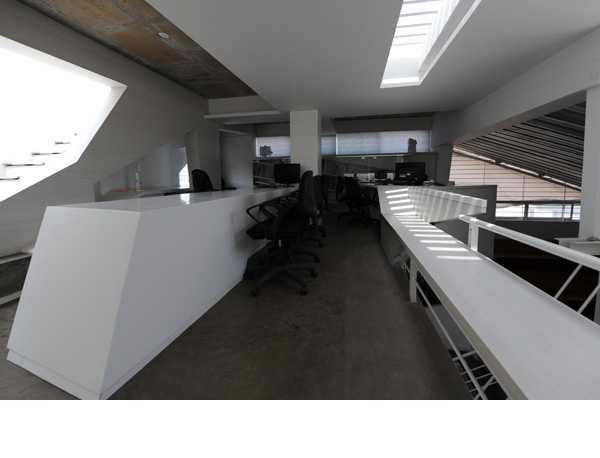 Rohini Mani's firm, RMA is one of India's longest-standing design consultancy firms, established for more than 30 years. 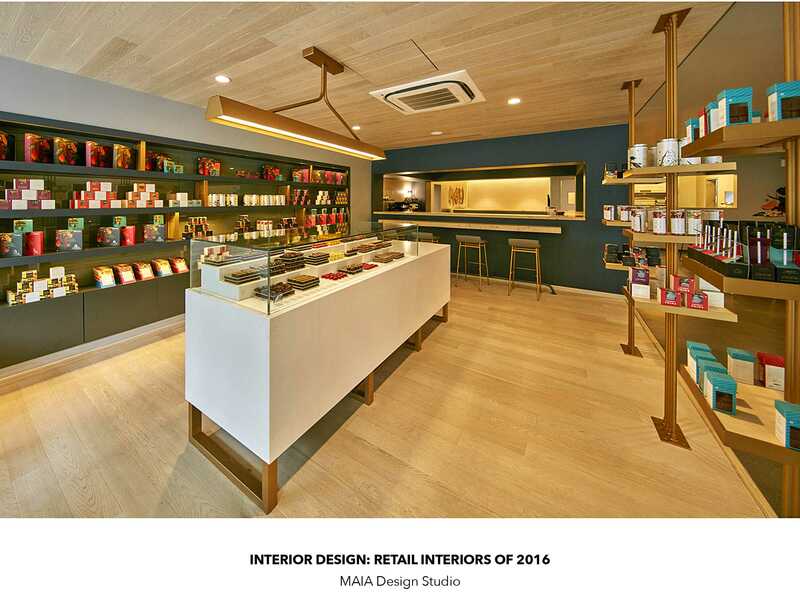 Mani's holistic and sensitive approach and the belief that design is a continuous journey of evolution are the factors behind the firm’s success. 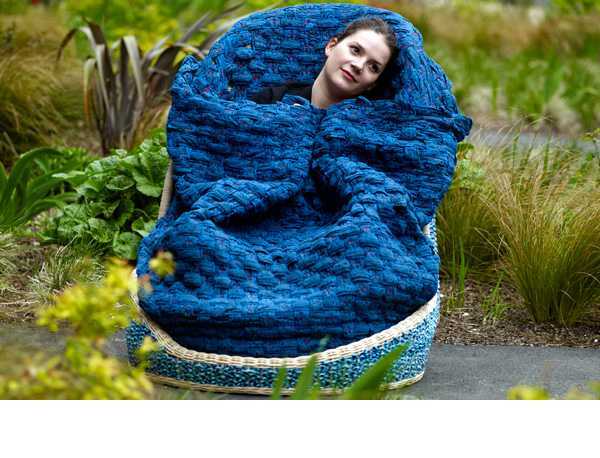 Her work has been widely published and the firm has won several competitions over the years. 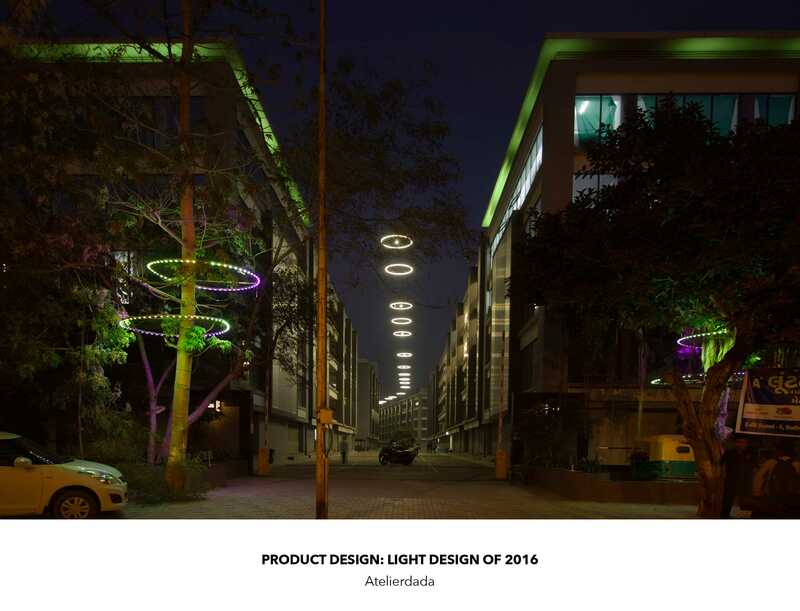 She is also a pioneer in the field of lighting design and has published several papers on the topic. Rohini Mani has also been a visiting Faculty at Kamala Raheja Vidyanidhi Institute. 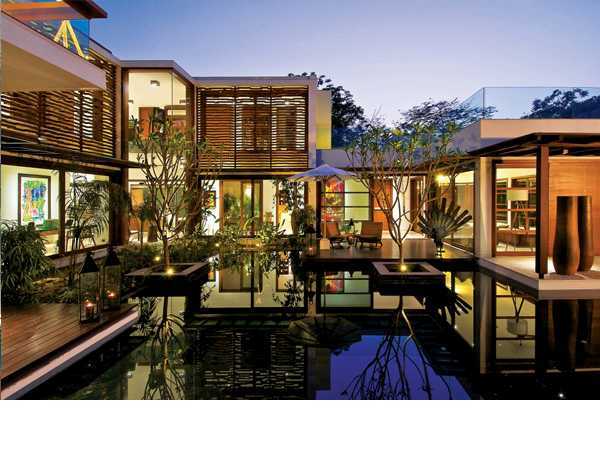 Sandeep Khosla established Khosla Associates, an architecture and interior design firm, in Bangalore in 1995. 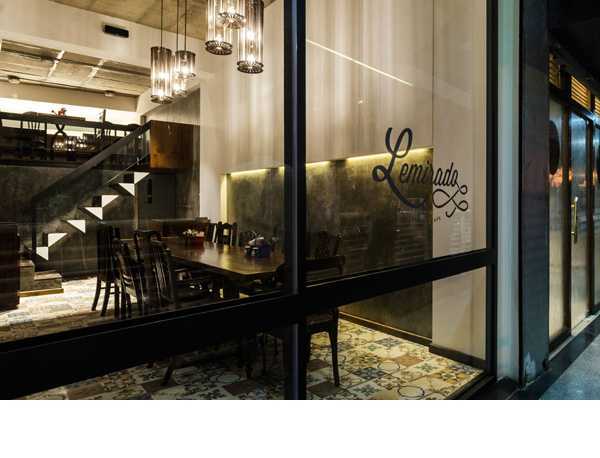 The firm, headed by Sandeep Khosla and Amaresh Anand, creates a versatile body of work including architecture and interiors of residences and corporate offices to retail and hospitality spaces. 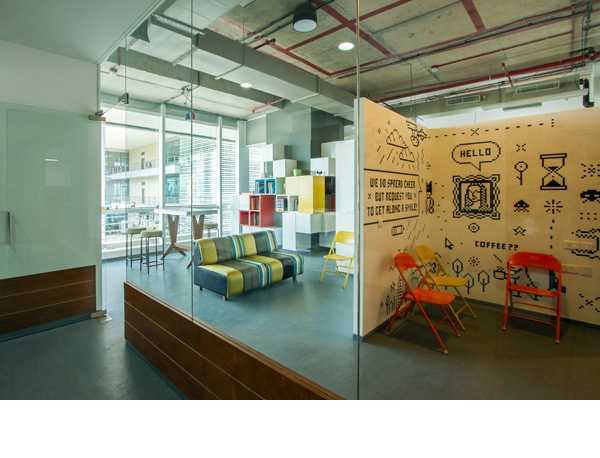 Their clients range from individual home owners to companies such as Biocon, the Park hotels, Nike, MTV and Hard Rock Café to educational institutions like Delhi Public School and The Doon School. 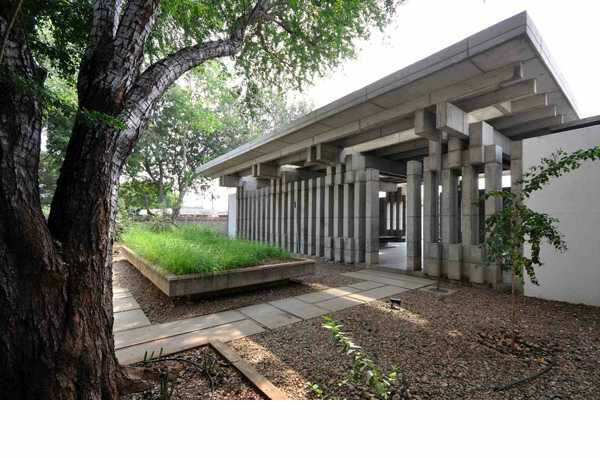 As a graduate of the School of Architecture at CEPT University, Ahmedabad, Soumitro Ghosh founded Mathew & Ghosh Architects in Bangalore in 1995 along with Nisha Mathew Ghosh. With a focus on public institutional buildings, the multiple award-winning firm strives to create a body of work that is introspective and reveals relationships between man and nature. 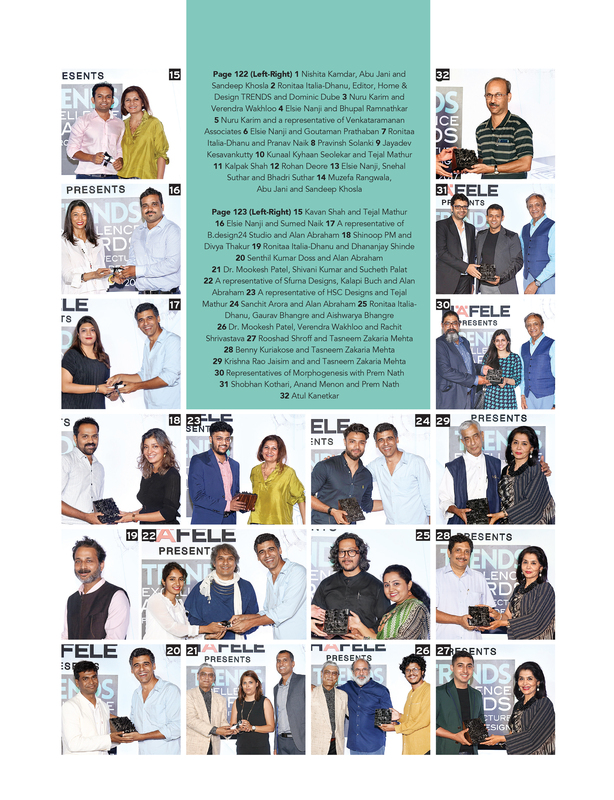 The firm has also won various awards at both Indian and international felicitation ceremonies, including three TRENDS Awards in 2015, and its work has appeared in publications globally. 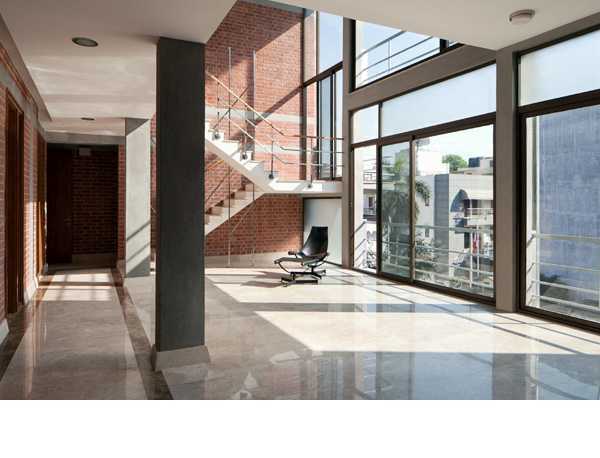 In 2001, Rahul Gore set up OPOLIS Architects in partnership with Sonal Sancheti. Gore studied architecture at the Centre of Environmental Planning and Technology (CEPT) in Ahmedabad, obtained a master's degree in urban design from the University of California Los Angeles (UCLA) and won the Bunka Cho scholarship from the Japanese government. He was previously worked with Fumihiko Maki and Rahul Mehrotra Architects, and has also been part of the award winning Indian team at the International Urban Design Competition for Design of Sustainable Cities at the World Gas Conference in 2003. After working with architecture stalwarts like Don Ashton and Willi Kaufhold, Kamal Malik set up Malik Architecture in 1975. Since its inception, the firm is renowned across India for its diverse projects in education, research, health care, hospitality, residential and commercial fields by adopting a common philosophy of synthesising ecology and spirit. 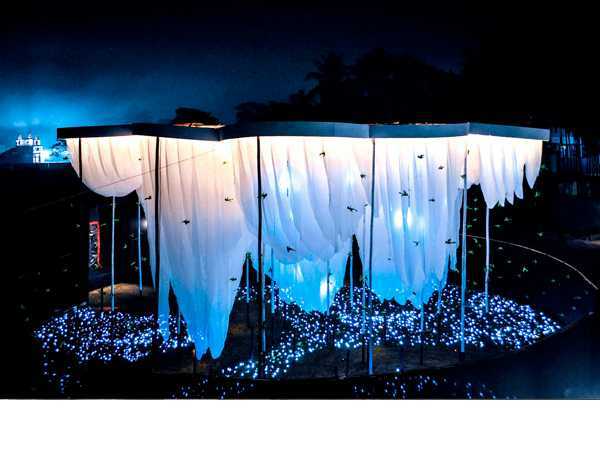 A graduate of Delhi's School of Planning and Architecture, Malik is the recipient of four architecture awards at the Asia Pacific Awards 2010. He often gives lectures all across the globe on subjects like sustainable design, landscape and the relevance of sociology in design and interiors as an intrinsic part of architecture. 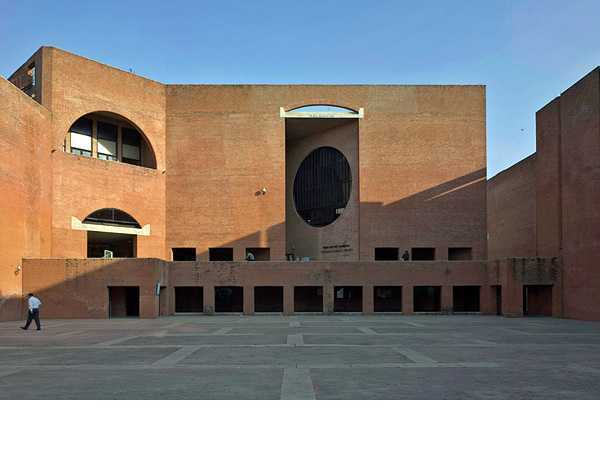 An alumnus of the School of Architecture, Centre of Environmental Planning and Technology (CEPT), Gurjit Singh Matharoo set up Matharoo Associates in Ahmedabad in 1992. The firm has worked extensively on national and international projects, covering architecture, structure, interior design and product design. 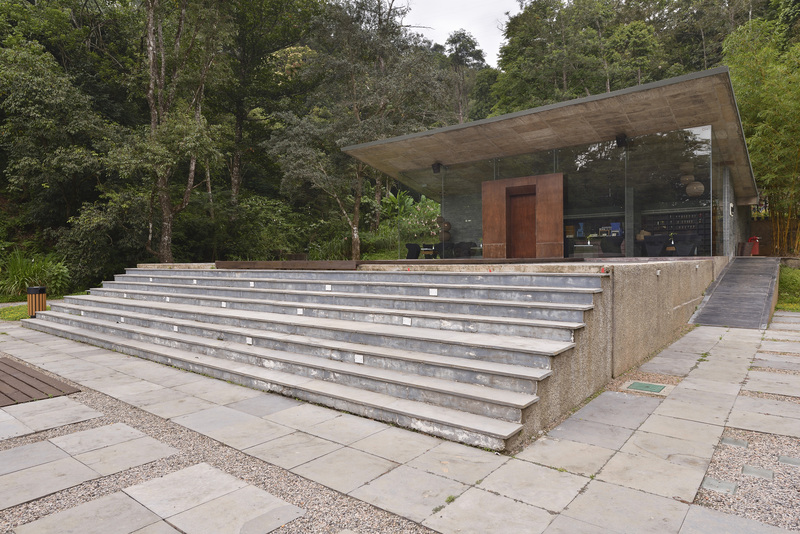 After Charles Correa and B V Doshi, Matharoo is the third Indian to be conferred an International Fellow of the Royal Institute of British Architects. 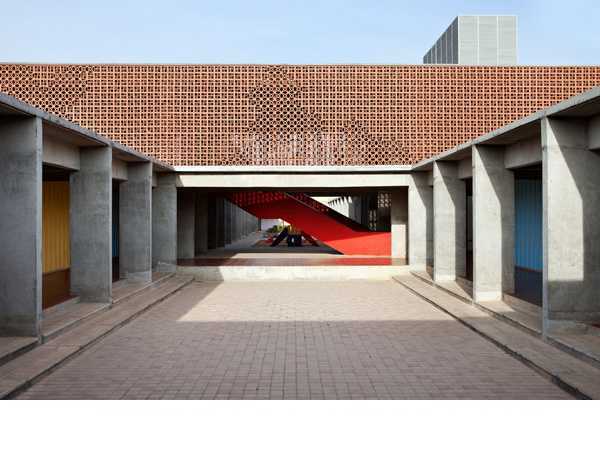 Since 1991, Matharoo has been a tutor at his own graduate school and at the National Institute of Design (NID), Ahmedabad for the transportation design course. 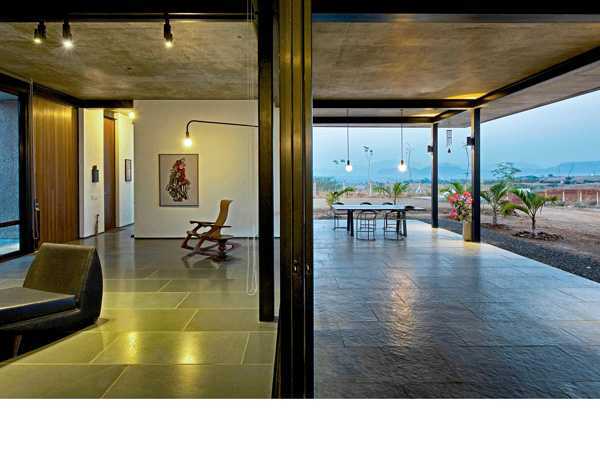 Alfaz Miller has been the principal architect at Mumbai-based ABM Architects since 1982. A veteran in the field of architecture and interior design, he has worked on projects for the Mumbai International Airport, Bangalore International airport, GVK and TATA besides projects for private individuals, corporates and institutions. 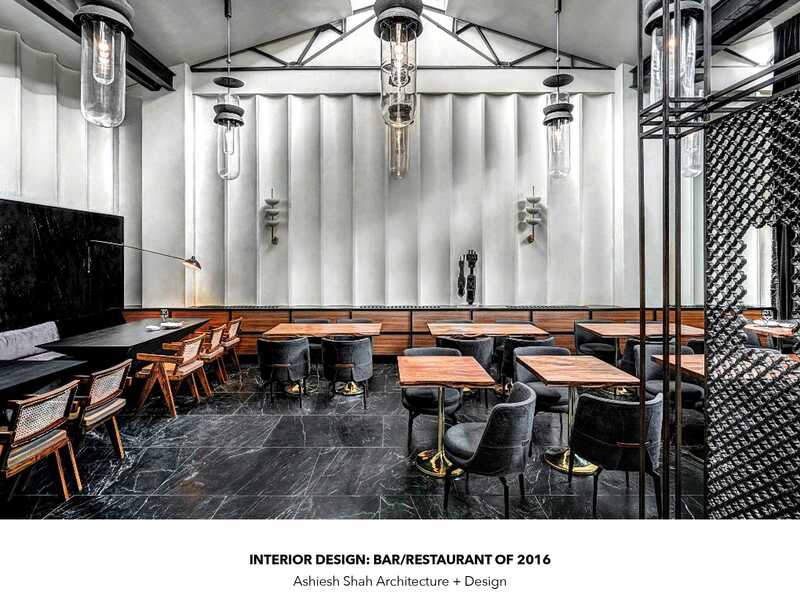 ABM Architects' projects have received recognition from design awards like the IIID – MK Design Awards, JIIA Design Awards and the IIID Design Awards. A lover of art and vintage cars, Miller has a Bachelor's degree in architecture from Mumbai University. 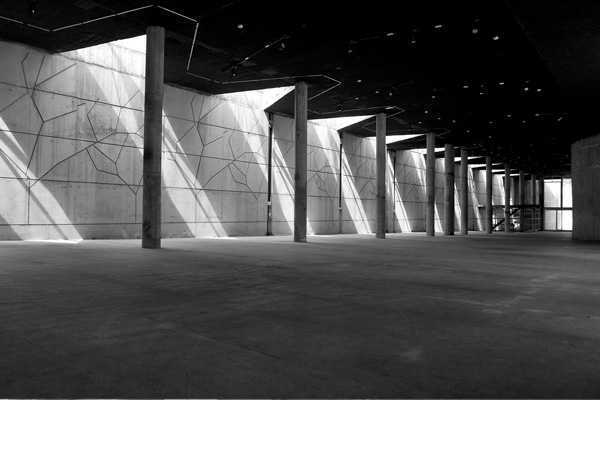 Sameep Padora's architecture firm, sP+a has been the recipient of numerous international awards like the WAN 21 for 21 Award for 21 Emerging International Practices for the 21st century in 2014, MARMOMACC International Award Architecture in Stone in 2011 and the AR Emerging Architecture Commendation Award in 2010. 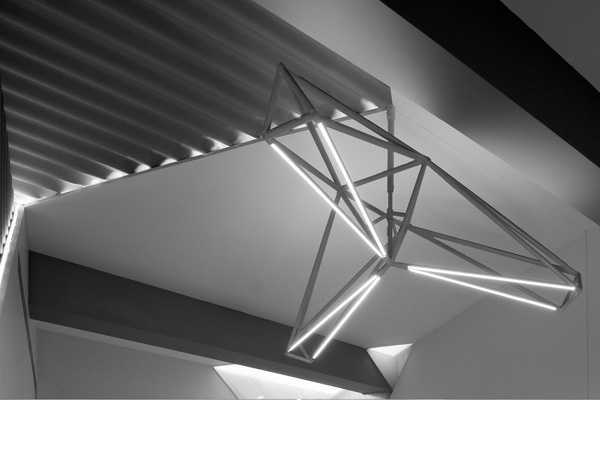 Padora has studied architecture in Mumbai, New York and Los Angeles and has acquired a Master's degree from the Graduate School of Design at Harvard University. 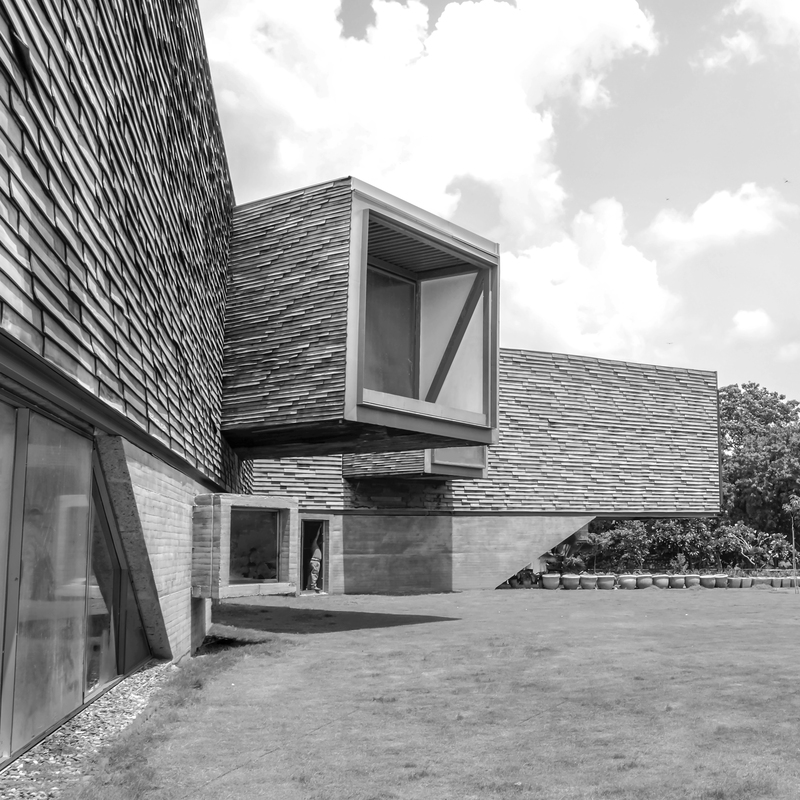 His firm was one of six international design firms invited to speak at the Royal Institute of British Architects in 2011. 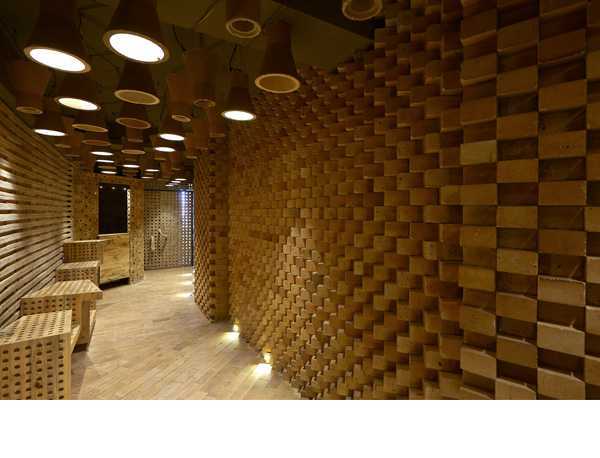 Padora recently also exhibited his work at the Somaiya Learning Center in Mumbai. 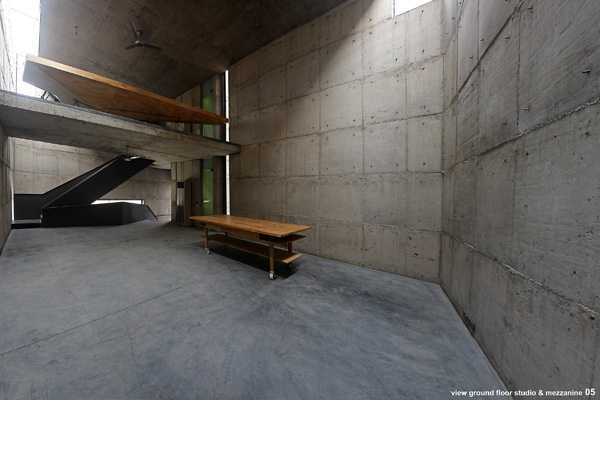 Before starting his own practice Sen Kapadia Architects in Mumbai, architect, planner and educationist Sen Kapadia has worked with Louis Kahn in Philadelphia and Space Management in New York. 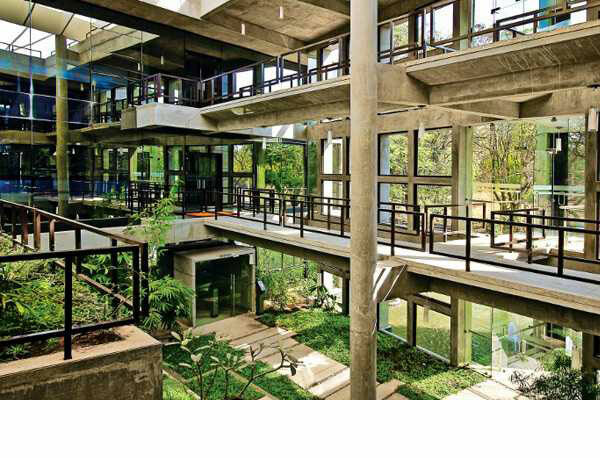 He is also the founder director of Kamla Raheja Vidyanidhi Institute for Conceptual Architecture in Mumbai. 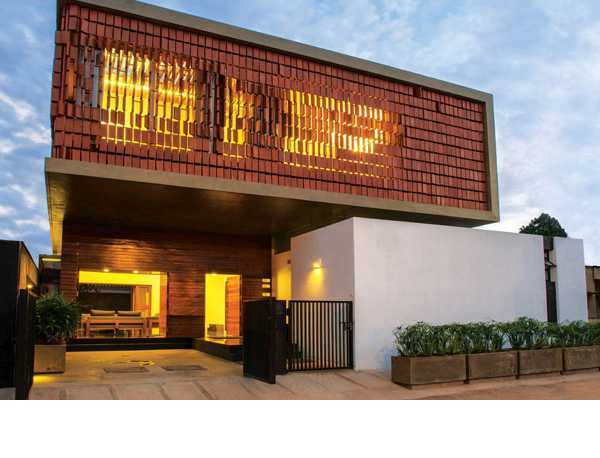 Kapadia is considered to be one of the leading experts in Passive Solar Architecture and his firm actively propagates energy conscious design. 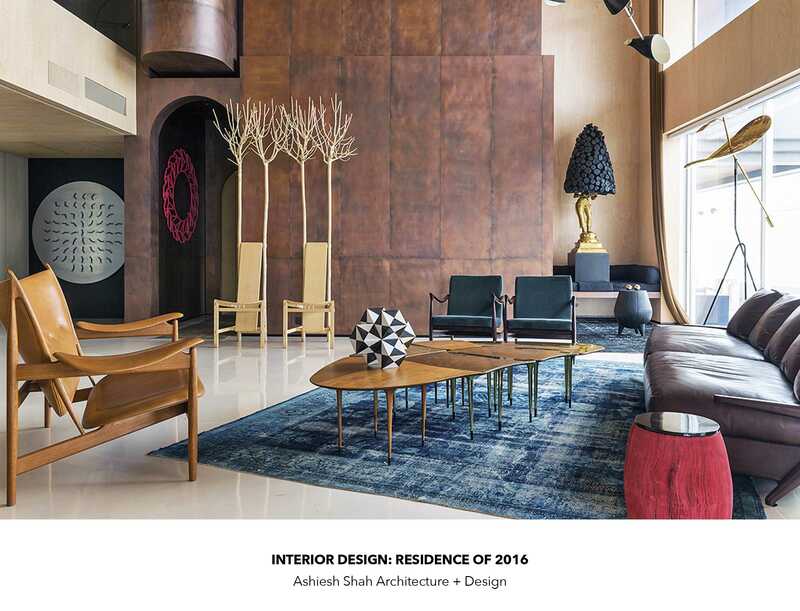 He has also recently collaborated with eminent architect Dr B V Doshi on a book called In Conversation. 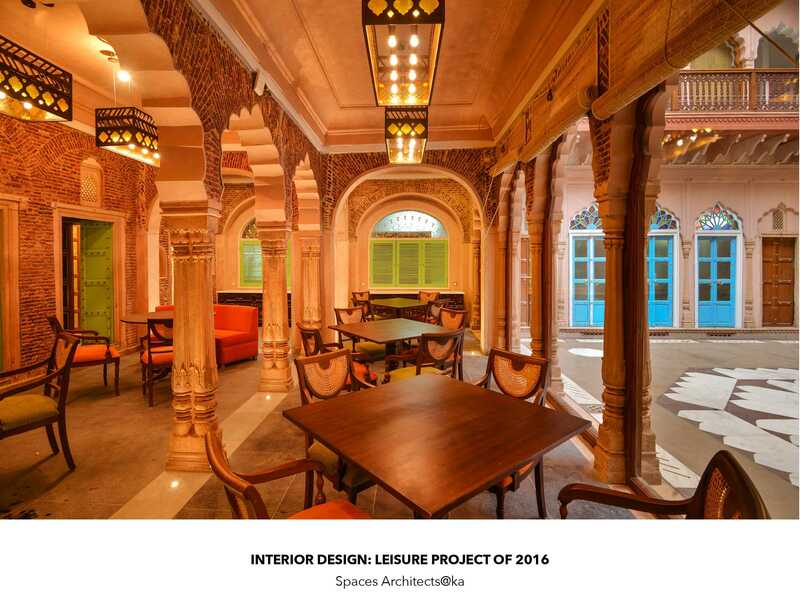 One of the principal architects at Studio Lotus in New Delhi, Ambrish Arora in his 29-year old career has worked in diverse fields including boat building, cinema, museum & exhibit design. 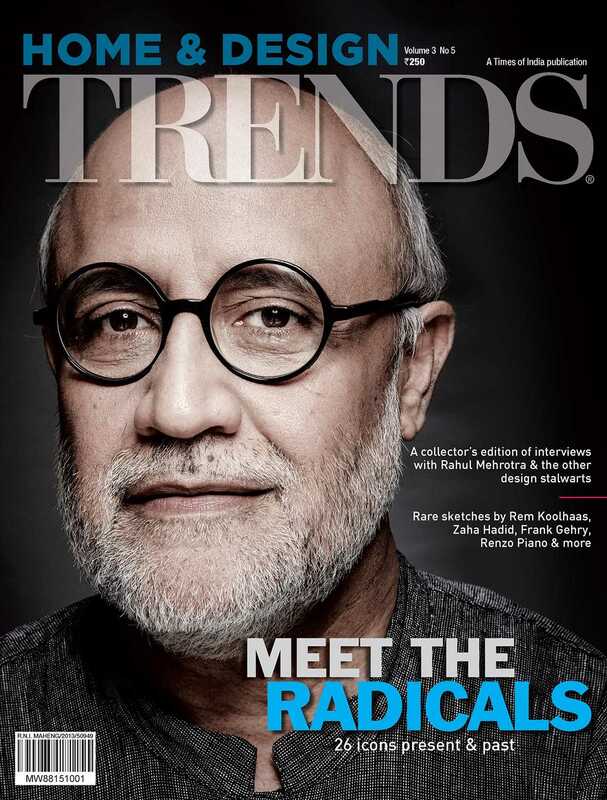 He founded Lotus in 2002 with Sidhartha Talwar and Ankur Choksi. 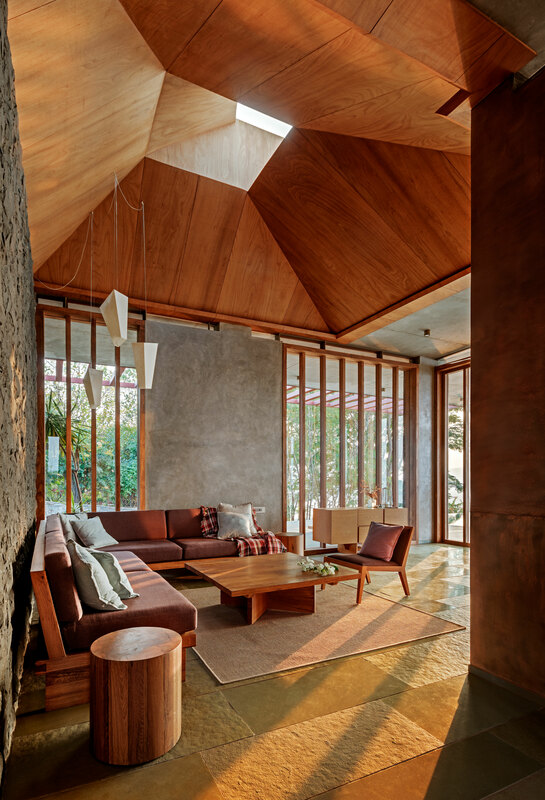 The firm specialises in a wide range of architecture and interior design projects and has been a recipient of multiple awards like the World Holiday Building of the Year at WAF 2011,World Architecture News Hotel of the Year 2013 and a nomination in the Aga Khan Award cycle 2013. Recipient of the Kerala Lalita Kala Akademi award, Bose Krishnamachari is an internationally acclaimed painter based in Mumbai. 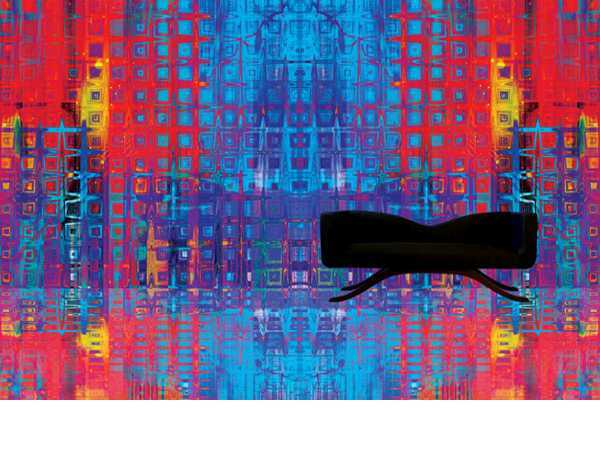 He was a recipient of British Council travel award, Mid America Arts Alliance Award and the Charles Wallace India Trust Award along with being the first runner up for the Bose Pacia Prize for Modern Art, New York, 2001. He is the artistic director of Kochi-Muziris Biennale and is renowned for his vivid abstract paintings, figurative drawings, sculptures, photographs and multimedia installations and architecture. 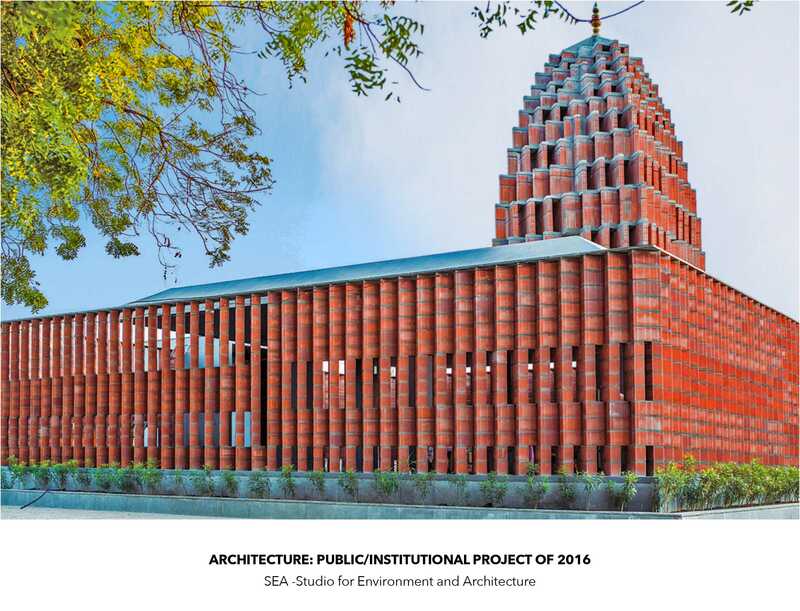 Shimul studied architecture in Mumbai at the Academy of Architecture, and urban planning at the University of Michigan Ann Arbor. Egalitarian democratic societies, respect for nature, and a fundamental belief in people and their connectedness drive her design philosophy. 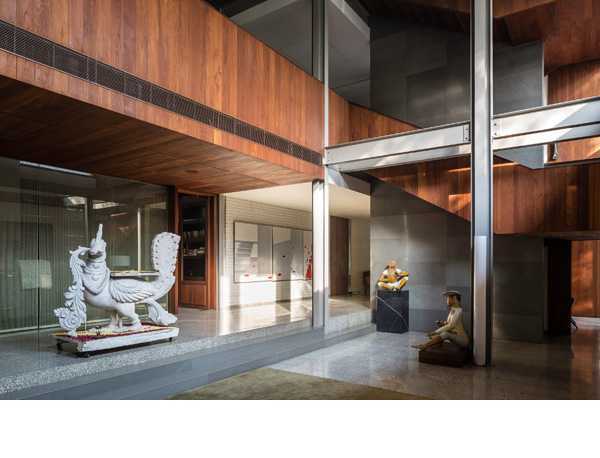 Her interest lies in an architecture that is meaningful for the India of today, drawing from historical wisdom, but at the same time is relevant and exciting for the vibrant market. She recently received the arcVision Honorary Mention '14 under Women and Architecture and has been a recipient of multiple awards like WAF Small Project of the Year '12, FuturArc Commercial Project '12, IIID Award Workspace '11 amongst many others. 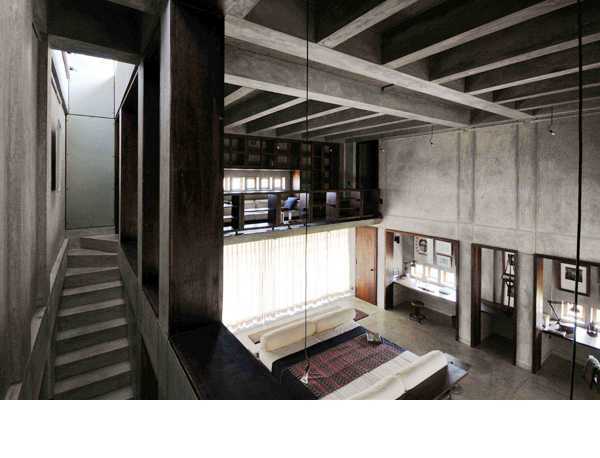 After graduating in 1974, architect Nitin Kilawalla gained his initial experience by working with architect Piloo Mody. Four years later in 1978, he formed his own firm called Group Seven Architects & Planners in Mumbai. He has been awarded various architectural and design awards and some of them include the Excellence in Architecture, (awarded twice) from the Indian Institute of Architects (IIA), J.K. Commendation Award and Best Interiors from the Institute of Indian Interior Designers (IIID). Currently, he is the fellow and past President of IIID. With over 100 projects in 40 Indian cities, Spain, Montenegro, Mauritius and the UAE, Sanjay Puri has been a recipient of multiple Indian as well as international awards. 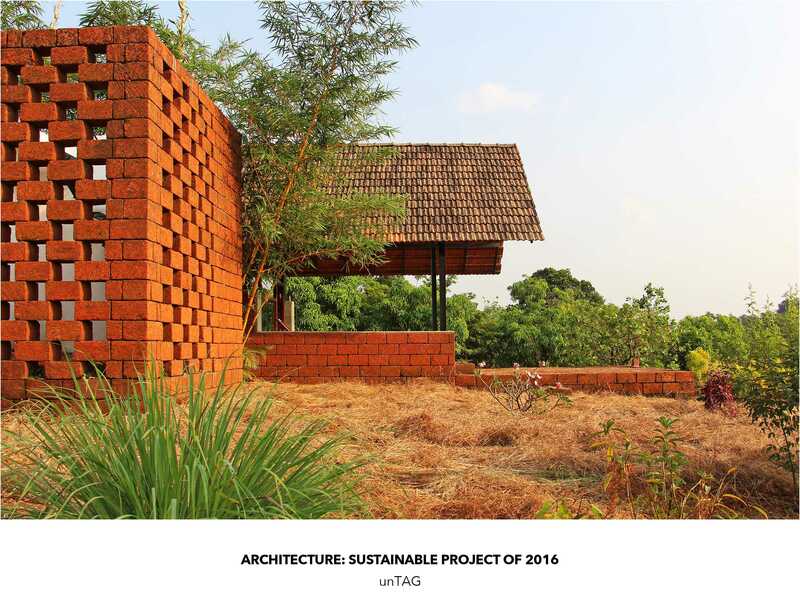 He was recently the winner at MIPIM Architectural Review Future Projects Awards 2014 at Cannes, France, along with the A+Architizer Award in New York in 2013. 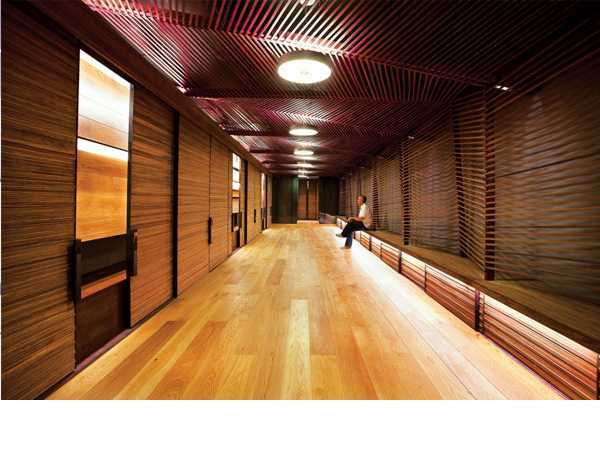 He was also been declared the winner at The World Architecture Festival Awards in 2012, 2011, & 2010 respectively. Based out of New York and Miami, multitalented designer Doug Meyer formed Doug & Gene Meyer in 2004 along with his brother Gene. 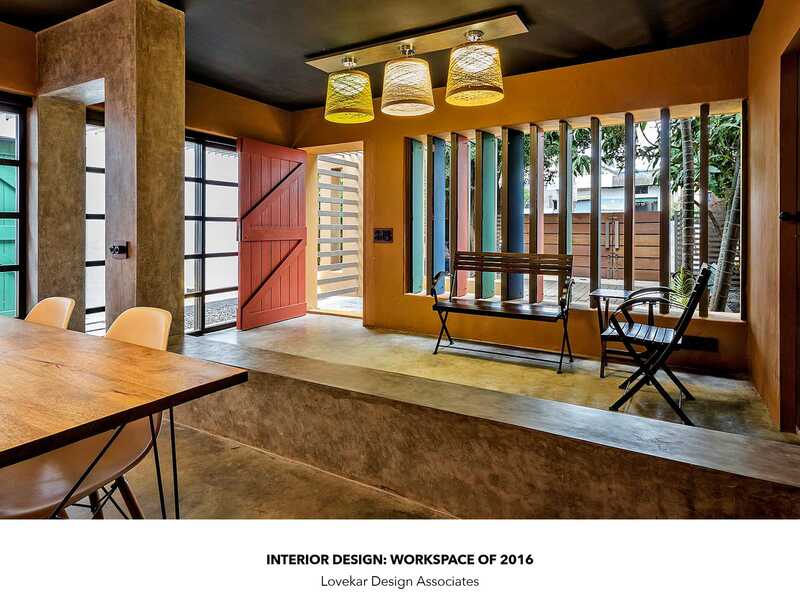 Having worked with eminent international interior design and fashion brands, Doug Meyer has been featured thrice under the 80 Most Influential Designers of the World. Principal architect of Planet 3 Studios, Kalhan Mattoo strives to address the fundamentals of design and architecture through intense programming while offering solutions that balance wit and wisdom keeping the visual appeal intact. Recipient of over 25 prestigious international and national awards over the last three years, Mattoo's work has also been displayed at various museums and galleries in New York, Barcelona and Singapore. 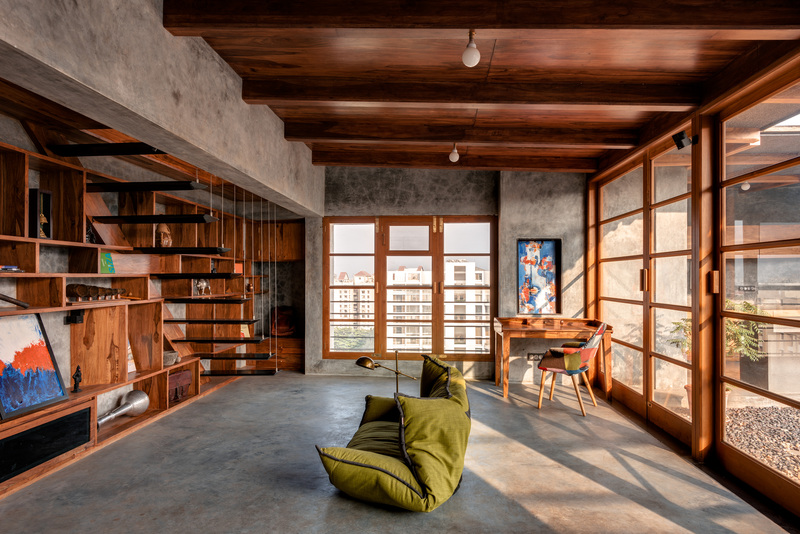 Mujib Ahmed and Lalita Tharani of Collaborative Architecture believe in designing spaces that are sensitive, poetic and contemporary. 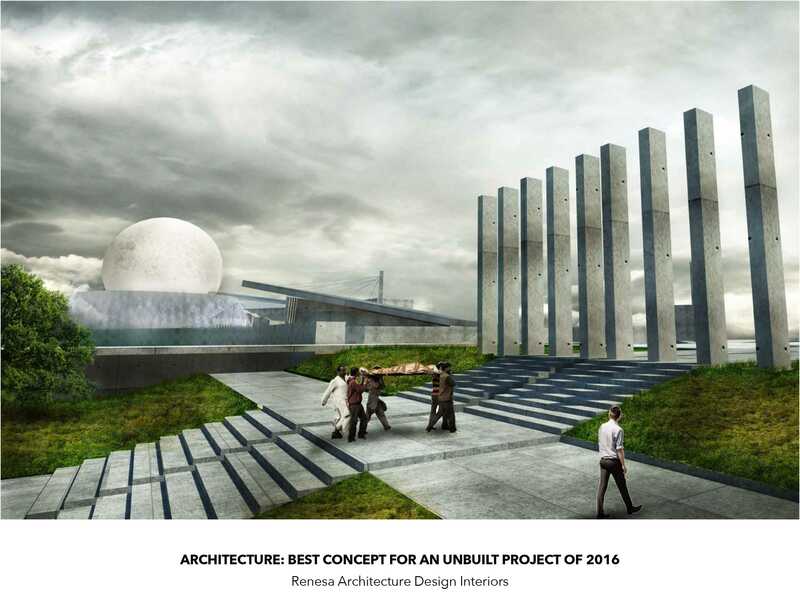 Recipient of multiple awards, their recent achievements include the Architecture Israel-Project of the year Award, an honorable mention in the SEED Awards, and the Aga Khan Award for Architecture amongst many others. 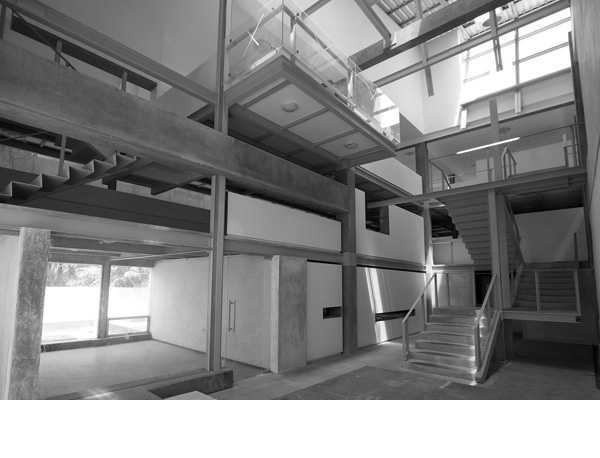 Back in 1984, TRENDS was launched in New Zealand to fulfill the need gap for an authoritative source of reference on contemporary architecture and design. 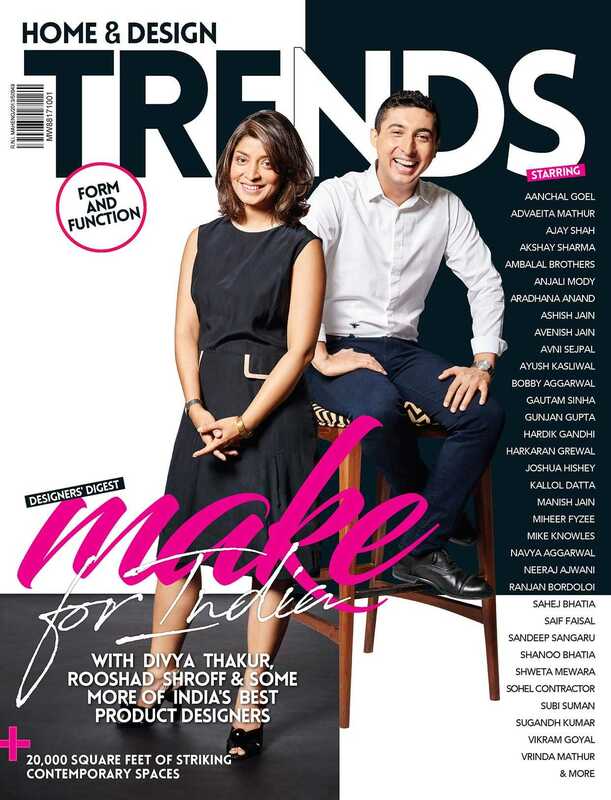 Since then, the brand has grown from strength to strength to become one of the most referred to magazines across 11 countries including Australia, USA, UAE, China, Singapore, Malaysia, Thailand, Indonesia and Hong Kong. 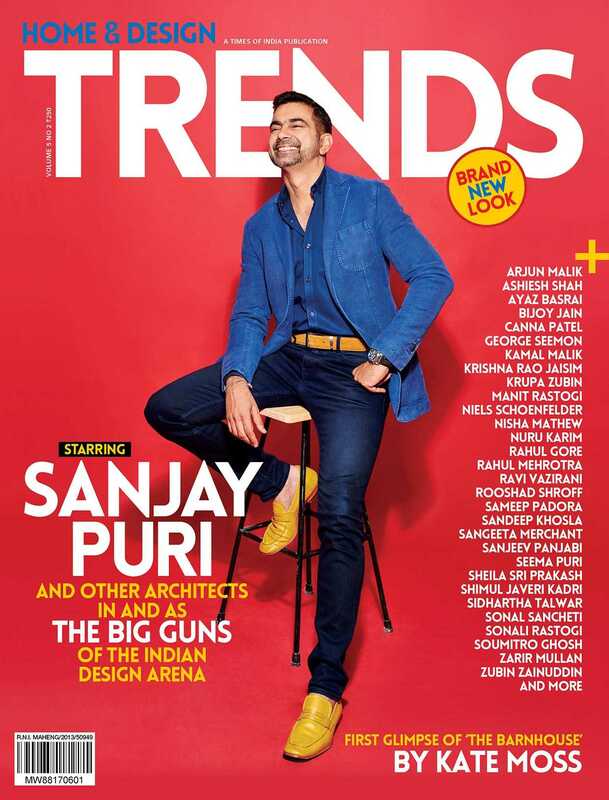 In 2010, TRENDS was launched in India as Home TRENDS to showcase the best in international and Indian design trends and concepts pertaining to residential design. However, over the time the brand realised that it needs to widen its reach and target a wider audience. Hence in 2013, Home TRENDS widened its scope and reach, and entered the exciting area of spatial design to become Home & Design TRENDS. 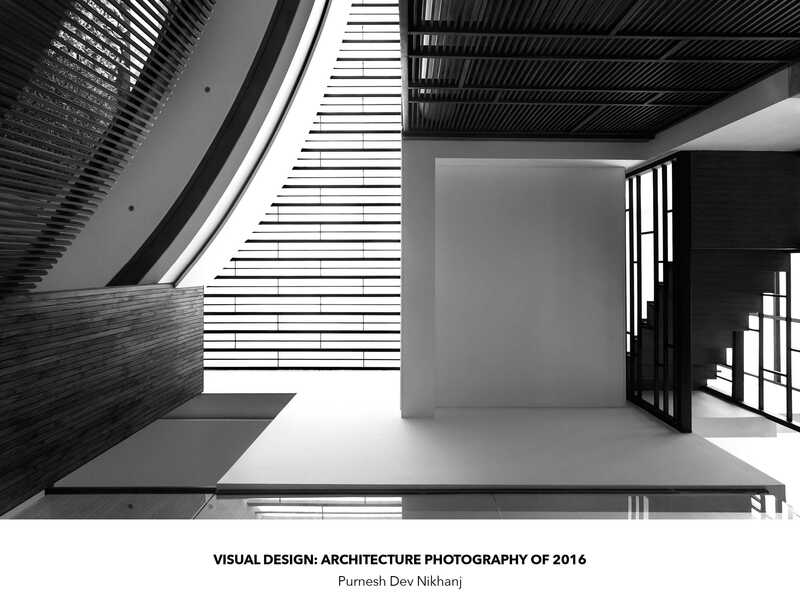 The new title was introduced to address the dynamic flux that the architecture and the design communities were witnessing. 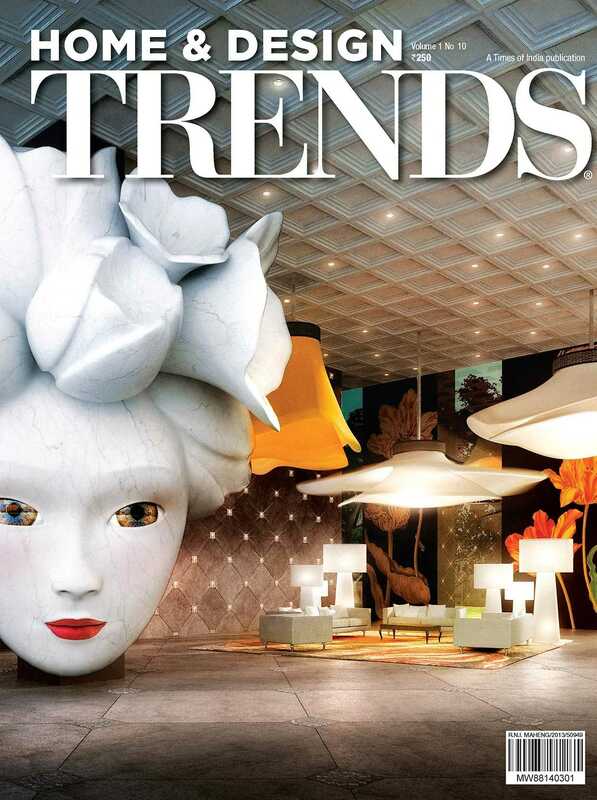 The new magazine explores exciting avenues ranging from latest global products, newsmakers and extraordinary design concepts to commercial projects that include hotels and restaurants, upcoming luxury residential properties, iconic architectural cities, etc. 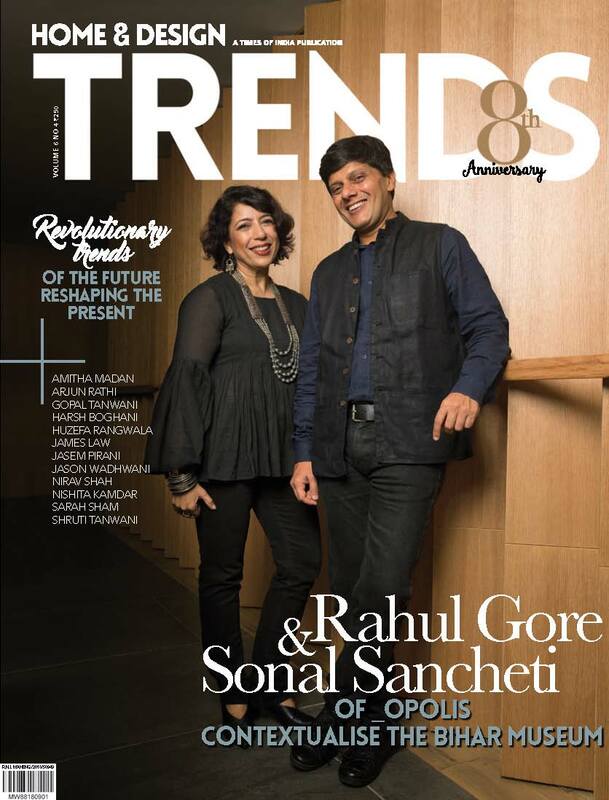 Positioned to be the only magazine in India that brings the conversation about good design to the forefront, the content focuses on this mission in various ways. 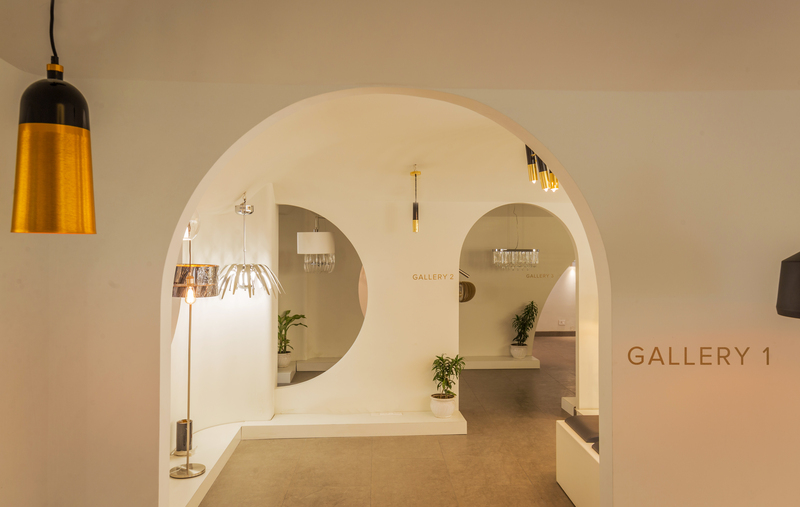 It could be in form of newsmakers and works of world famous architects, interior designers, street artists, or product designers and visual artists along with extraordinary works in public spaces and famous architectural cities.